Two global trends are converging and they will transform the way people live their lives. One of them is the Internet of Things (IoT) – the increasing proliferation of internet connected, ‘smart’ devices. Gartner estimates there will be 20 billion such devices by 2020 in homes, factories and cities. Coupled with this is the increasing global need for civil infrastructure. Countries like the US have large, aging infrastructure that must be modernized or replaced and emerging markets, like China, have a growing need for new infrastructure. Read more at IoT Evolution World. It’s time once again for that grand gathering of embedded Linux geeks known as the Embedded Linux Conference (ELC), as well as the co-located, non-Linux specific OpenIoT Summit. In this article, we take a closer look at the conference schedule, with keynotes and sessions you won’t want to miss. Moxa strengthens its commitment to building smart cities by joining Civil Infrastructure Platform Project. The Civil Infrastructure Platform (CIP) project, which aims to provide a base layer of industrial grade open source software components, tools and methods to enable long-term management of critical systems, has announced that Moxa has joined as a Silver Member. The move helps Moxa, an edge-to-cloud connectivity solution provider that offers a range of industrial networking, monitoring and computing products, strengthen its commitment to building smarter factories and cities on an interoperable open source platform that is secure, reliable and sustainable. Read more at Industrial Automation Asia. he Civil Infrastructure Platform (CIP) project, which aims to provide a base layer of industrial grade open source software components, tools and methods to enable long-term management of critical systems, has announced that Moxa has joined as a Silver Member. The move helps Moxa, an edge-to-cloud connectivity solution provider that offers a range of industrial networking, monitoring and computing products, strengthen its commitment to building smarter factories and cities on an interoperable open source platform that is secure, reliable and sustainable. Read more at Industrial Automation. 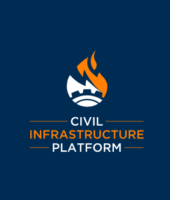 The Civil Infrastructure Platform (CIP) aims to speed implementation of Linux-based civil infrastructure systems, build upon existing open source foundations and expertise, establish de facto standards by providing a base layer reference implementation, and contribute to and influence upstream projects regarding industrial needs. CIP is driven by some of the world’s leading manufacturers of civil infrastructure systems and industry leaders including Codethink, Hitachi, Plat’Home, Renesas, Siemens and Toshiba. This spotlight series highlights CIP members and how they are contributing to open source software solutions that will benefit the world’s technical systems. 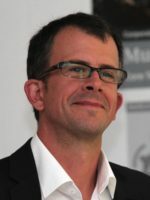 Today, we highlight Siemens in a conversation with Urs Gleim, Head of the Central Smart Embedded Systems Group. What does your company do and what is your role? Siemens is a global company providing products and solutions in the domains power generation and transmission, medical diagnosis, building technologies, industry, as well as rail and road mobility solutions. I head the “Smart Embedded Systems” group at the central unit “Corporate Technology”. This is a central expert center working for all of the business units as well as driving global strategic topics for the company. How would you describe your company in a few sentences? Siemens comes from the electrification and automation sector and is sometimes considered “old industry” in the middle of the transformation of a world of connected complex and heterogeneous systems. In the past, there were single purpose devices. But now, almost every device that has computing power, has an operating system that gets connected and can run different types of software. This transformation massively changes business models and technology. Siemens is one of those changed business models and technology. Why is your company investing in an open source base layer of industrial grade software? Today, we have lots of products that are Linux-based. Many of these products were developed independently, which resulted in a huge number of different Linux versions and distributions. With all of these different versions in use, developers work to maintain all them in parallel. Furthermore, having more and more products connected increases the demand for providing security patches on short notice. Developers have worked in this way for a long time but this set-up is not scalable and cannot be managed like this in the future. To make matters more complicated, many companies are doing the same thing and maintaining several software stacks in parallel. The solution to this complicated issue is the harmonization of the Linux versions used in products. This is called the base layer and it’s the foundation of what CIP is working on. As member companies collaborate on this base layer will save money, resources and time in the long-run. Why did your company join CIP? The idea of having an industrial-grade, long-term maintained Linux kernel was discussed for several years. At Siemens, there are some internal harmonization and cost effective work sharing activities but the real traction comes from close collaboration with upstream projects. From our point of view, this is only possible in an Open Source project driven together by partners who have the same problems. The Linux Foundation connected Siemens with other industry-leading companies that have the same vision. This is how we became a founding member of CIP. How are you currently active in CIP? As a founding member, Siemens has several people on the technical steering committee who help drive the strategic direction of the project. We are also active in CIP Core, in the testing effort, build environment and are driving the real-time support. Additionally, I am also the chair of the Governing Board. How are you going to use the software? 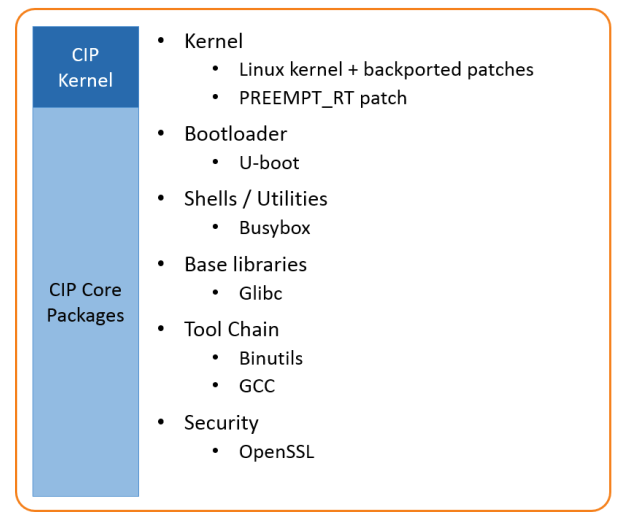 Based on the CIP kernel and CIP Core, we are building our internally used Linux distribution for different hardware platforms used in products. Beside the above mentioned cost savings, this harmonized approach also reduces OSS clearing of kernel and base packages as well as allows a central security & vulnerability management. What benefits have you seen or what do you expect to achieve? We expect reduced cost per product for patch and vulnerability management, maintenance, testing, and open source software clearing. We already see an increasing test coverage since the test tool chain and the tests are continuously improved by all members. Where do you see civil infrastructure systems in 20 years? Some of the ones we install now will still be here in 20 years. That’s why we need the Civil Infrastructure Platform.